"In All Things Christ Preeminent"
Founded in 1955, Covenant College is a Christian liberal arts college that exists to explore and express the preeminence of Jesus Christ in all things. We are a community committed to the Bible as the inerrant Word of God, and everything we do is grounded in our Reformed theology and worldview. 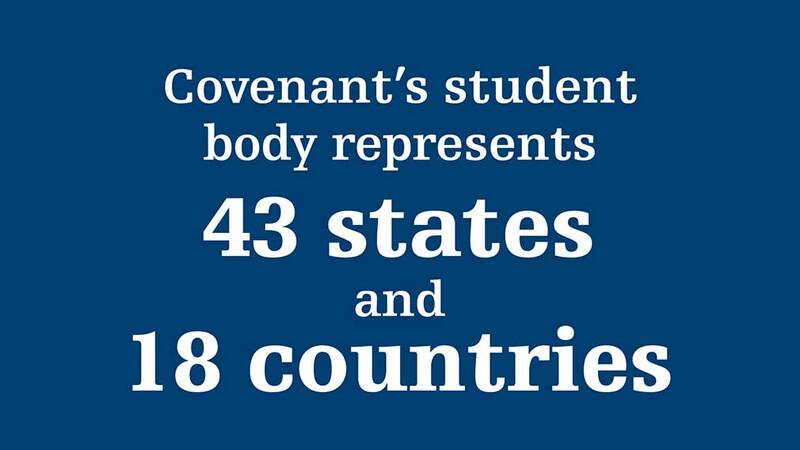 At Covenant, we seek to inspire and equip our students to be faithful stewards of their God-given abilities - all of our programs are designed with this in mind. Our nationally-ranked academic program will challenge you, but you'll be confident knowing that you have the necessary resources at hand to help you along the way. Our accomplished faculty will become your teachers, mentors, and friends. Our student life program is known for its focus on residence hall identities, personal development, and relationship building. It's a dynamic community where each student's gifts are celebrated and encouraged. But the best way to experience Covenant is to visit us! We invite you to come to campus, see our incredible mountaintop view, and get a first-hand taste of what the Covenant approach to a Christian liberal arts education is really all about.